The Duterte administration is losing control over the Philippine economy and the poorest Filipinos are suffering for this, research group IBON said upon the release of the August inflation rate. The greatly accelerating inflation is only the latest in a series of bad economic news about the economy’s so-called fundamentals. 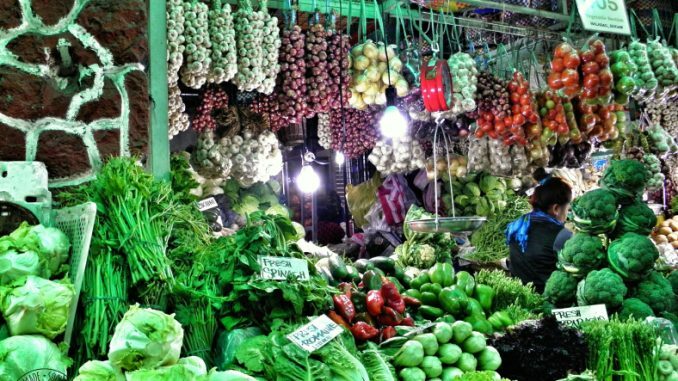 The Philippine Statistics Authority (PSA) reported that the headline inflation rate in August 2018 accelerated to 6.4% or its highest in almost a decade from 5.7% in July. This is more than double the 2.6% inflation in August 2017. Inflation was highest in alcoholic beverages, tobacco and narcotics at 21.6% year-on-year but inflation also worsened among food and non-alcoholic beverages, especially vegetables (19.2%), corn (12.6%), and fish (12.4%). Meanwhile, from July to August 2018, steepest inflation occurred in vegetables (4.9%) and rice (2.1%). IBON said that the rapid rise in food prices hits poor families the worst because food takes up a greater portion of their expenditure compared to higher income families. The bottom 30% income group spends 59.7% of their expenditures on food, compared to just 30% for the upper 70% income group based on the 2015 Family Income and Expenditure Survey. 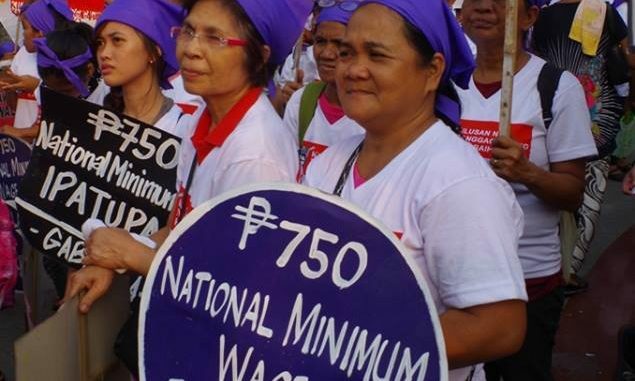 IBON estimates that the poorest six deciles of Filipino families with monthly incomes ranging from Php7,724 to Php21,119 have suffered income losses of around Php1,455 to Php3,781 due to inflation from January to August this year. Other indicators of macroeconomic fundamentals are no better, IBON said. The high August inflation comes on the heels of second quarter gross domestic product (GDP) growth which was the slowest in 12 quarters, the peso falling to its lowest in 13 years, first semester remittance growth the slowest in 17 years, trade and balance of payments deficits the worst in the country’s history, and gross international reserves (GIR) that are the lowest in 9 years. IBON added that the more rapid inflation means that prices are higher than ever and will remain high even if inflation tapers off in the coming months as government projects. The government needs to become more decisive in addressing increasingly unaffordable goods and services. Immediate and longer term measures can be taken. The most immediate is to stop implementation of the TRAIN law and particularly its inflationary consumption taxes, IBON stressed. This will not arrest inflation completely but it will take away the most recent inflationary pressure that is also the one most directly within the government’s control. The government can also consider price controls, said the group. The president has the authority to impose price controls not just in the case of calamities but also when there is illegal price manipulation and if prices of basic commodities are already deemed at unreasonable levels. The long-term solution however, IBON underscored, is to strengthen domestic agriculture and Filipino industry. These are essential to provide cheaper food, goods and services in the domestic market. This will also lessen imports and lower pressure on the peso to depreciate. 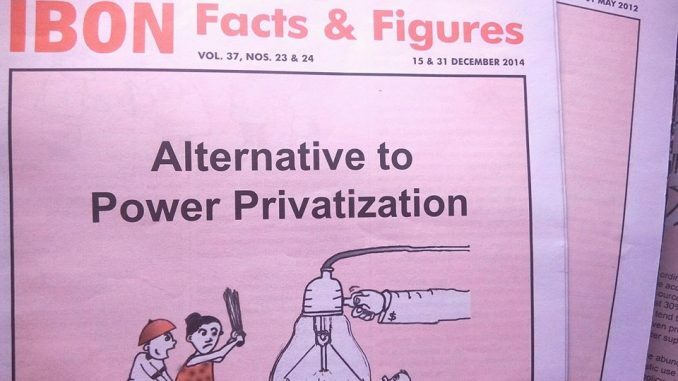 The group also said that another solution is to reverse the privatization or commercialization of water, power, education and health to take away the profit premium making these services more expensive.